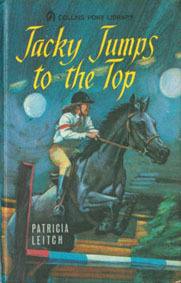 The pony book library is a godsend for both publisher and reader – the reader because they have an easily identifiable series of books that they know will interest them, and the publisher as a way of re-issuing title for which it already has copyright, and perhaps trying a few new authors too in a format which is almost guaranteed to sell. 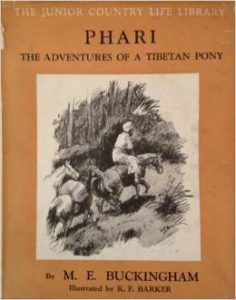 Several publishers over the decades have produced pony libraries. 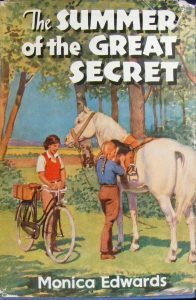 One of the earliest of these was the Crown Pony Series, which featured titles published by the Lutterworth Press. Lutterworth published titles in various libraries (the Dominion Library was another) and it isn’tparticularly easy to work out in what edition a title first appeared, or if it was in the Crown Pony Library when it did. It’s also quitedifficult to work out exactly how many titles were published in thePony Library: they appeared both in hardback and paperback.As far as I can see, most titles were published between the mid1960s and 1970s. The numbering doesn’t seem particularly consistent; Pony Girl being listed both as Number 4 and Number 21. 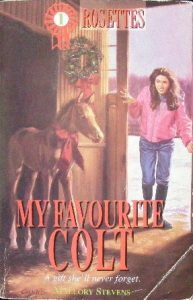 J A Allen took up the pony library baton in the late 1980s and 1990s with its Allen Equestrian Fiction series. At that time the main flourish of pony book publishing was over. What was published was not particularly good, and printed on paper which was going to struggle to outlast the century. 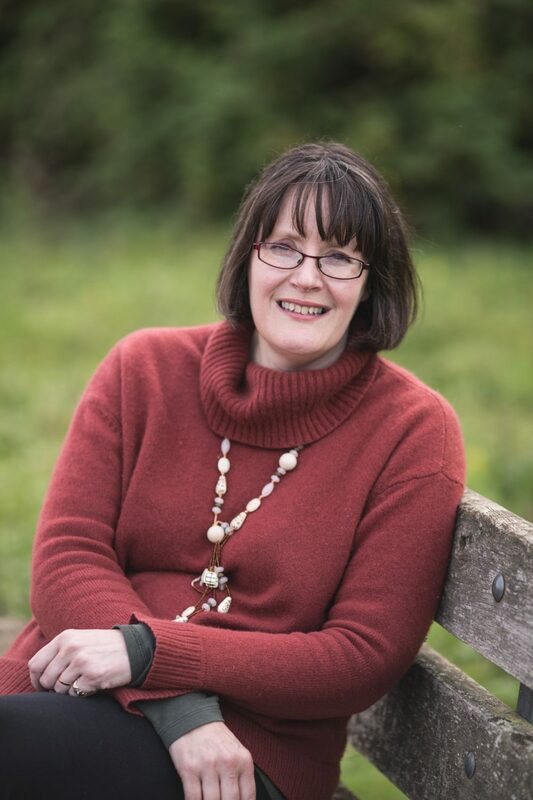 J A Allen’s Chief Executive, Caroline Akrill (better known for her own excellent children’s books) started a project to produce pony books that would succeed in their own right, not just as a genre which could be guaranteed to sell however good or bad it was, simply because it featured a pony. 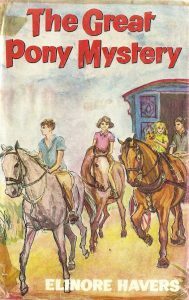 “Allen had always been about quality and we wanted to elevate the status of the pony novel, engaging the top writers, the best illustrators and with our usual high production standards.”This series was, I think, a brave attempt by Allen to provide well-written pony stories aimed at the teenage market. I find all the titles interesting: they are written with some understanding of the teenage rider, and assume that the reader does have some intelligence. Gillian Baxter’s Bargain Horses is particularly good. It’s a pity that lack of sales led to Allen not carrying on with their experiment. They were not supported by the libraries, who thought pony books were old hat and elitist, and the higher price of the books (£4.99 – £5.99 compared with £2.99 – £3.99 for a mass market paperback), and J A Allen’s status as a niche publisher, meant the chains were reluctant to stock them. I wonder if the very different format of the books had something to do with the lack of sales: being trade paperbacks with illustrations completely unlike the more normal, for that time, photographic front cover meant perhaps the pony book buyer simply did not realise what the books were. Country Life Publications were responsible for probably the earliest uniform edition which contained a good number of pony titles. During the 1930s and 1940s, Country Life published a uniform edition of its most popular children’s works. Although the Junior Country Life Library contained several titles that were not horse-orientated, the majority of them were firmly equine-based. Many of the titles pre-dated the dawn of the girl plus pony story, so covered a wide range of types. 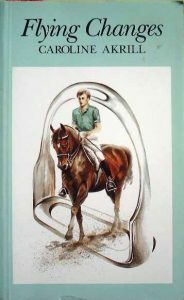 John Thorburn’s Hildebrand, a fantasy about a horse who could only eat things which began with an ‘H’ was the first title in the library, which contained a good sprinkling of traditional equine biographies and stories aimed at the younger reader.